Who among you guys are aware of the illness that one of our favourite Glee teacher is going through? Yes, I'm talking about about Miss Holly Holiday, Gwyneth Paltrow. The very talented and very adorable Oscar-award-winning actress, rock star's wife, mother of two, and the envy of millions for her all-American beauty and wispy model's figure is suffering from an illness called osteopenia. For those who don't have any idea what osteopenia is, hear me out. Osteopenia is a condition wherein bone density falls below its less-than-normal range. This condition is common to elderly and menopausal women who have a greater chance of developing osteoporosis, the disease where in bones become brittle, fragile, and vulnerable to breaking. In her online newsletter GOOP, Miss Paltrow, 37, told that she discovered her osteopenia while being treated for a severe fracture in her leg a few years ago. She also shared that in the late 90's she adapted a macrobiotic diet, a regimen that does not include meat and dairy products, making her to resort to other liquid fasts and cleanses to shed off the unwanted weight. And because of this drastic weight loss scheme she didn't mind the effect of it to her bones - osteopenia leading to osteoporosis. On a personal note, my mom just turned 56 last month, and even though she's not saying it, I can feel that she's having this back problem, making her stand a little small. 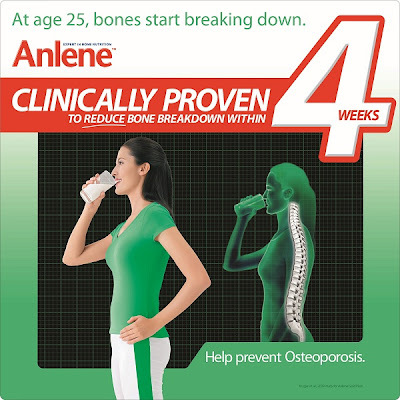 And with all the advertisements and news about osteoporosis, I know that women at her age are very prone to this kind of illness, that's why having an Anlene to keep her bones strong and healthy is really a big help! Anlene contains 500 mg of calcium in a single glass, while a glass of Anlene Gold has 600 mg of calcium. Drinking two glasses of Anlene a day makes her meet her daily calcium needs that reduces bone breakdown. Osteoporosis is not just "some" illness. It is considered as one of the most dreadful, if not "the silent killer" that women all over the world - artists or our moms - are dreading to have. 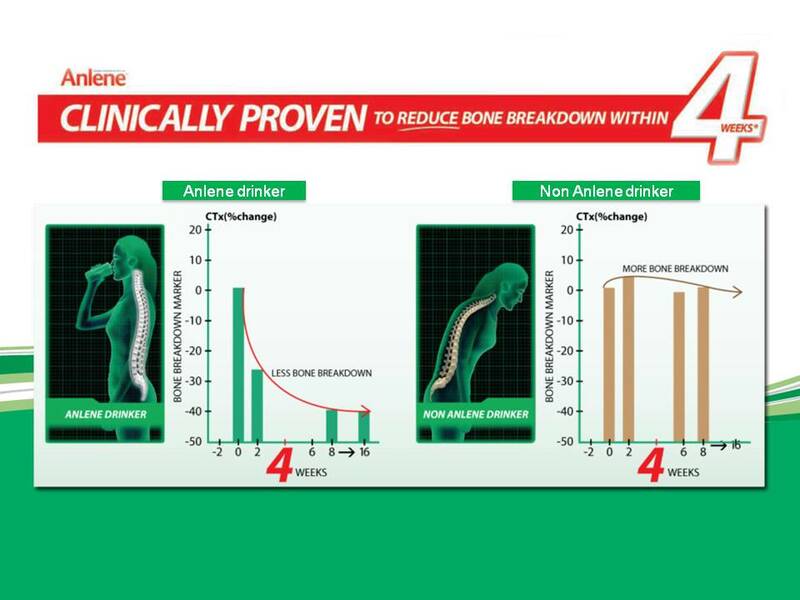 So, let's help them fight osteoporosis. By a simple gesture of giving them the right food or milk, like Anlene, will make their bones strong and healthy - a simple and the best way to show how much we care for them and how much we love them.